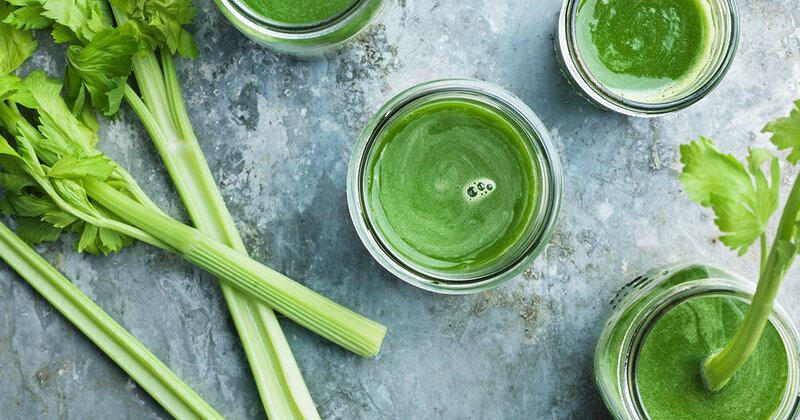 Celery Juice; the latest wellness trend that everyone is talking about and instagram’s most recent phenomenon. I’m sure one way or another you have heard about it or perhaps you have succumbed to social media peer pressure and have already tried it for yourself? So why is this ‘magic juice’ so popular and what is it all about? Its recommended usage is that you should have one 16oz glass of celery juice every morning on an empty stomach, even before you’ve drank any water, and wait around 30 minutes before eating breakfast. The health benefits are endless, according to the Medical Medium (whom I first heard about celery juice through on instagram) and there are so many incredible healing stories out there. The Medical Medium shares a lot of ‘before and after’ transformations on his instagram page and some of them really are mind-blowing. The benefits of incorporating celery juice into your diet include clearer skin, improved digestion, less bloating, sustained energy, better mental clarity, weight loss, and more stable moods. Two of the benefits above really jumped out at me. Would you like to have better mental clarity and sustained energy on a daily basis? I certainly do - just tell me how! Also, many of you reading this will probably agree that having a more stable mood is always a huge positive. We all have our down days or days where we feel like we really just can’t be bothered (the word ‘hormones’ may spring to mind!). But, it’s how we uplift ourselves to deal with these feelings and get that glow back that’s important, and a glass of celery juice every morning may be the answer you’re looking for! Sustained energy and better mental clarity are pivotal in ensuring your working day is as healthy and productive as it possibly can be. There are lots of fancy words and meanings to describe how drinking this juice can help our bodies, but we will keep it nice and simple (for those of you that are familiar with biology jargon and want to understand in more depth, read some more here). Simply put, celery is a major alkaline food which helps to clear the body of acid and toxins as well as cleansing the liver and bloodstream. It is also extremely hydrating and restores the entire digestive system. By doing this, it puts our hearts and minds at ease and has a significant calming effect on our bodies, in turn having a huge positive effect on how we go about our day-to-day lives. It’s also important to note that drinking celery juice should come hand-in-hand with a healthy lifestyle and fairly nutritious diet. In other words, please don’t have a 16oz glass every morning and expect to see benefits if you eat junk food all day long! In an ideal world, eating pizza every day is the dream, but unfortunately you’re unlikely to see the real benefits of celery juice if you do this. I can vouch for the fact that it actually DOES work. I suffer with fairly bad psoriasis and after having celery juice every morning for only 2 weeks, I started to notice a big difference (I was truly amazed!!). However, please be aware that our bodies work in different (and mysterious) ways and it may not necessarily work in the same way for everyone. That said, it’s always reassuring to know someone who has tried it and has seen results first-hand. I also felt so much more energized throughout the day having had a glass in the morning - so much so that I significantly cut down my daily coffee intake (yes, really!). Everyone at Primary knows you work best when you feel great, and you feel great when you drink celery juice, so… you do the math! Side note - if I have inspired you to get on the celery juice hype (I won’t be offended if not), you will need a juicer to get started. Here’s some research of a good recommendation for you all, reasonably priced and easy to clean with most parts being dishwasher safe too. The natural inhalation of oxygen and exhalation of carbon dioxide is so organic we forget it’s even happening. The act is so involuntary that it has become unnoticed that many of us are in fact breathing with the wrong technique. What would happen to our mental and physical state if we pay more attention to proper breathing as a wellness and holistic approach, improving our focus and productivity? A thought most often forgotten particularly as our professional and personal schedules get busy and our to-do lists become countless. As we become inundated with endless work, deadlines, and an inbox full of messages yet to be responded to, it is inevitable that stress, panic, and anxiety can quickly take over. Good news is that you’re already practicing the solution to your nail-biting, hair-pulling moments. You know how to breathe so there’s no lesson to learn there, however we can easily transition into a state of calm by understanding our awareness of breath. Many of us have become shallow or chest breathers causing our muscles to tighten inducing stress, panic attacks and fatigue as a response. Over at Headspace they explain the difference between shallow breathing, its negative health effects and the positive effects of proper diaphragmatic slow breathing. Proven to lower blood pressure, reduce heart rate and relax muscle tension. Perfecting your awareness of breath isn’t magic and won’t happen overnight, however you can easily begin your journey to proper breathing by taking a look at the steps Susan Kaiser Greenland provides in her “11 minute awareness of breath Practice” . Take a few minutes of that “me time” - lock the office door and begin the art of breathing properly. Don’t have 11 minutes to spare in your busy schedule and need a quick fix as you feel the panic and heavy breathing coming on? Try this quick and easy one minute process to soften and let go of tension and begin to instantly relax. For one minute try inhaling for a count of two seconds hold and exhale for a count of 3 seconds. To further create a well rounded breathing session try include the help of the soothing and relaxing scents of your favourite essential oils. Hint: lemongrass and ginger is a Primary favourite. Along with its many benefits, the scent acts as an antidepressant, boosts confidence, hope and mental strength. Otherwise, try the ever popular Lavender - directly inhale or diffuse while practicing your newfound breathing techniques for an immediate calming effect. Still can’t get into the rhythm of it? If you feel you are unable to become attuned to the practice of slow breathing on your own, consider the guidance of these deep breathing mobile apps as a starting point to ultimate body relaxation and re focus. There you have it, the next time you feel you’re unable to shake that feeling of panic, stop and take a breath. A proper breath that is. Massages have a multitude of health benefits in addition to that “aahhhh”-inducing effect. However, you don’t have to find a professional to get the boosts of a massage--actually, you don’t have to find anyone! Just like you can DIY your home decor or a multitude of crafts, you can DIY a massage (BYO oils or lotions optional!). Self-massage can help relieve pain, including symptoms of osteoarthritis. Researchers had study participants suffering from osteoarthritis (OA) in the knee do 20-minute self-massage therapy sessions, focusing on their quadriceps muscle. The OA patients who did the self-massage felt significantly less OA pain and stiffness. The benefits can also be mental. In one study, smokers trying to quit were prescribed three daily hand and ear self-massages during their withdrawal symptoms, including cigarette cravings. After one month, the smokers reported feeling less anxious and moody--two common smoking cessation withdrawal symptoms. Not only that, but those who did the self-massages smoked fewer cigarettes each day by the end of the study than those who did not do-self massage. In a study of adults suffering from wrist and/or hand arthritis, self-massaging every day (paired with a weekly massage done by someone else) resulted in lower levels of anxiety, depression, and physical pain, while also increasing the strength of their grip. Start by warming up your muscles by using large, vigorous strokes, then switch to smaller strokes focused on areas you’d like to target. Applying heat before starting your self-massage can also help your muscles relax. You can add oil or lotion (scented for an aromatherapy boost as well!) to make the stroking easier. If you already visit masseuses regularly, you can also add self-massage between visits to enjoy the benefits longer. Go ahead, rub on some relaxation. You deserve it. What did you enjoy doing as a child that you no longer do as an adult? Make sandcastles? Spend some quality time with a coloring book or whizzing through the air on a swing set? Play a pickup game of soccer with your friends? The things that come to mind are likely to be what we used to do as play--and unfortunately have become activities we do less and less frequently as we grow up. However, research indicates that we may want to pick these activities back up if we want to live our happiest, healthiest lives. “Playfulness” can reference a person’s tendency to approach situations in ways that entertain those around them and make them more engaging and fun. Just as more foosball tables are popping up in workspaces, researchers are conducting more studies around playfulness at work. You might assume that play at the office leads to decreased productivity or distraction, but some research indicates that “organizational playfulness” can make for a climate that is more conducive to creativity. How? Researchers posit that playfulness can make people feel more open and motivated, and to forge more relationships built on working together. It can also foster greater trust amongst team members. Also, making meetings more playful can actually make them more productive because play can inject energy and increase engagement during an otherwise dull meeting. Mirgain also brings up scheduling time for play. However, don’t get too serious about it: play being voluntary is key. And it has to be something you enjoy (versus something other people tend to enjoy or something you think you’re supposed to enjoy). Go on, get out there and have some fun! Your emotional feelings and physical feelings are connected. Positive emotions can benefit your health while negative ones can harm if they are not dealt with in the right way. So, with that in mind, where do we go from here if we want to cultivate an emotional life that supports our overall health? Are we supposed to walk around pretending everything is fantastic and that we actually love the fact that we just dropped our ice cream cone on the ground or got all the way to the office only to realize we left our cell phone at home? For better or worse, life has its highs and lows. It would be silly to act as if that’s not true. In fact, ignoring your feelings--negative and positive--may be the worst thing you can do. According to the University of Minnesota, failing to deal with or ignoring your anger can be associated with high blood pressure, heart disease, infection, and digestive issues. Instead, you should feel your emotions and express them without judging yourself. Feel it, then you can let it go. If you tend to hold on to negative things that have happened, this doesn’t mean you are doomed for poor health. A study supported by Stanford and the Department for Veterans Affairs showed that you can learn how to forgive. In the study, adults who were trained in forgiveness experienced fewer physical ailments, less anger, and fewer feelings of hurt. If you want to develop a more positive approach to life, there are things you can do to mould your outlook for the better. Dr. Barbara Fredrickson suggests that you aim to experience three positive feelings for every negative one to reverse the potential physical damage that negativity can inflict. And, she posits that positivity is like a muscle that can get stronger over time with practice to make you more resilient emotionally. So, just like you have a gym or workout routine, it may be worth implementing a routine for checking in on and working through your emotions--your body will thank you. It pays to be positive! According to Dr. Barbara Fredrickson, in addition to increased creativity, awe, and possibilities, positivity can get you more sleep and happiness overall and less time for recovery from cardiovascular stress and colds. And the correlation doesn’t seem to be that the happier you are, the better your health. How is your emodiversity? Emodiversity is the mixture of your emotions and their intensity. Research indicates that the more diverse the positive emotions you experience, the more likely you are to have lower inflammation. This seems to hold irrespective of your average positivity and negativity, your body mass index, anti-inflammatory medicines, personality type, and other factors. Another boon for our physical health is our ability to forgive, which some in the medical field define as “fully accepting that a negative event has occurred and relinquishing our negative feelings surrounding the circumstance”. Studies have found that being more forgiving can be positive for our mental, emotional, and physical health. Forgiveness is associated with having lower blood pressure levels, superior cardiovascular health, a stronger immune system, and a longer lifespan. Negative feelings and outlooks are associated with chronic stress. In the shorter term, this can throw your hormones out of balance, as well as the chemicals in your brain that have to do with happiness, and suppress your immune system. It can also prevent you from living a longer life by shortening your telomeres, which are the tips of the strands of your DNA, by quickening the aging process. However, there are things you can do to combat negativity in a way that protects your health. Keep an eye out for this upcoming Monday’s post, which will feature tips for maximizing your positive emotions and processing your negative ones so you can live your happiest, healthiest life. Do Your Surroundings Spark Joy? Skip spring cleaning this year? It’s not too late! Tidy by category; not by location. Some might assume that decluttering enthusiasts believe the fewer items, the better, but it’s not that simple, at least not when it comes to the KonMari Method. The key is having items around you that spark joy and to be grateful for them. You can also apply the principle to other areas of your life. For example, think about your schedule and ask yourself, what can you get rid of so that you have more time for what makes you happy and what really matters? It’s not as simple as looking around and throwing out the junk mail that has piled up. Lisa suggests going deep--taking everything out of where it is stored so you can see everything. You may even rediscover something you’ve forgotten about that deserves to have a place in your home where you see it every day! Intrigued? If you are a Primary member, please join us at Primary on Tuesday, July 10th at 5:30pm for “Tidy Up Your Home With KonMari & Start Living Your Best Life!”. Certified KonMari Consultant Lisa Tselebidis will teach you how to simplify your home space and life in a way that maximizes your joy. Calm your surroundings so you can calm your mind. And, make room for joy! What is linked to reduced risk of coronary heart disease, decreased anxiety, and higher job satisfaction, yet 40% of employees take zero to 25% of what is available to them? If you’ve got them, use them--for the sake of your health, research says. The various health benefits of vacation last different lengths of time upon returning to work, but if you’re nervous about taking time off, consider a respite’s impact on work absenteeism: Odds are that you’ll be less likely to call in sick to work for the month following your vacation. You don’t need to go on a yoga retreat to design your vacation in a way that can boost your health. 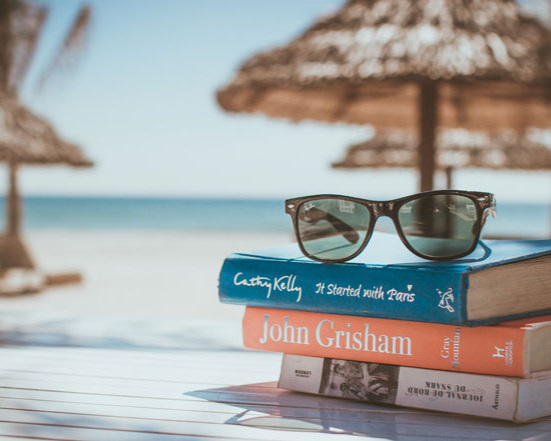 Taking time off can be a valuable tool in your wellness toolbox and to use vacation days in the most health-promoting way possible, there are some things you may want to keep in mind when strategizing your time away. Pull up your Google Calendar or grab your pencil and planner and start implementing your solid vacation strategy! Since the wellbeing effect of your vacation starts to lapse pretty soon after your return to the office and that you’ll be back at your prior level of wellbeing within one to four weeks, researchers suggest that breaking up your vacation time may be better for you than taking it all at once each year. Warmer, sunnier locales are ideal if recuperation is your goal, research indicates. And for all of the stressed types out there counting down the days until vacation, take heart: The more work strain you experience before your departure, the greater benefit you’ll experience if you’re able to really get away and unplug. Consider time zones too, as the greater the number of hours are between your home and vacation time zones, the more exhaustive effect it is likely to have. On Monday, check back here on the Primary blog for your next step in setting up the vacation you need to feel your best: building your itinerary (or lack thereof!). Do you ever want to escape into a cocoon when life gets tough, just to be alone and to tune out? Thanks to the popularity of various wellness-conducive baths, you can have your choice of bath. Take your pick! If you’re a bathing traditionalist, a good old soak in the tub can often to the trick. Some people swear by their epsom salts, others by their favorite bath oils, but even basic baths have benefits. The temperature can be key: baths on the warmer end of the temperature spectrum have been shown to improve blood pressure and other research has indicated that they can also reduce blood sugar levels. As we’ve covered here previously, sound can have a healing effect. Various studies have found links between tension reduction and improved cognitive performance. Focusing on sound can be a great option if you find yourself wanting to drown out the cacophony of city life. To step it up a notch, join a sound bath and tune out to the sound of gongs and singing bowls while also getting in some time to meditate. We’ve also discussed the power of nature in enhancing our wellbeing, especially in the workplace. But if you get a chance to become fully immersed in nature, take it! Forest bathing, also known as “Shinrin-Yoku”, the Japanese tradition of going out into nature, is gaining traction in the Western world, and it’s no wonder. Besides the fresh air and calming effect, researchers have found that it can even help reduce pain. It’s a hot topic in research right now, so we are only beginning to understand the myriad of effects nature can have on us. Be sure to use all five of your senses mindfully to soak up the benefits. What is the soundscape of your life? Honking and beeping as you walk down the city street? That collection of songs that helps get you through mile after mile on your runs? The sound of a long-distance friend or family member’s voice on the phone? That podcast you can’t get enough of? 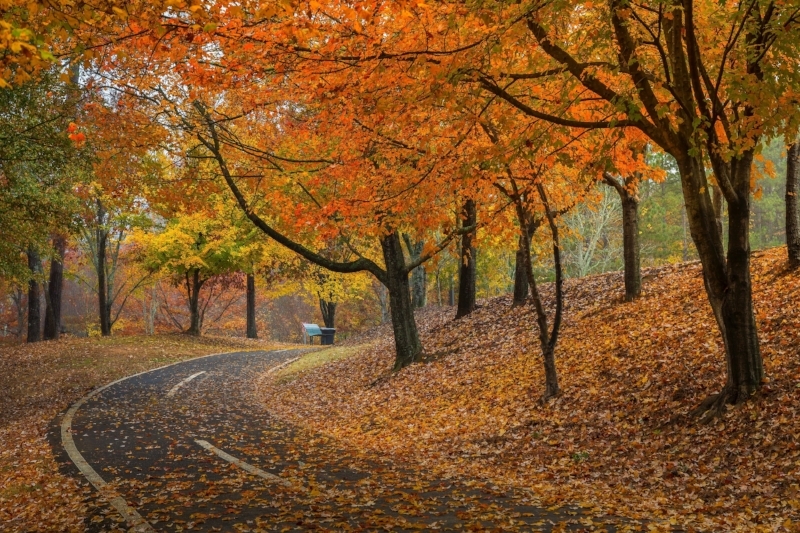 The soundscape in your life can be a powerful influence on your mood and wellbeing. In this spirit, more and more people are gravitating towards “sound baths”, sessions where you are immersed in sound in the hopes of having some sort of positive psychological or other benefit. Many of us are painfully aware of the environmental pollution around us in the air and water, so we seek the fresher feeling air in the woods or choose to swim in a lake far from a city rather than jump into the Hudson. However, it’s worth taking a minute to think about a different type of pollution--”noise pollution”. The EPA defines noise pollution as “unwanted or disturbing sound” and researchers have found links between environmental noise and our cognitive performance. The increasingly popular sound baths, often done using tuning forks, crystal or Tibetan singing bowls, or gongs, may be a way to combat noise pollution and replace it with something that feels more soothing. Though definitive research on the impact of sound baths on health is scarce, their popularity highlights people’s beliefs in the power of sound as a potentially centering and calming tool in meditation. In fact, sound baths may also be even more powerful when it comes to newcomers to meditation. One study found that participants who were not aware of the impact of sound meditation enjoyed larger decreases in tension than their peers when a Tibetan singing bowl was played for them. Finding it hard to calm your mind during meditation? Might be worth incorporating sound into your practice--to tune in so you can tune out. When William Arthur Ward said, "Feeling gratitude and not expressing it is like wrapping a present and not giving it,” he probably wasn’t thinking about showing gratitude to others as a gift to yourself. But living a life of gratefulness can actually boost your own health and happiness. Research has demonstrated that those who take stock of what they have to be grateful for in life tend to be happier. Focusing on gratitude has also been found to help with depression--in a study at Berkeley, a group of students receiving mental health counseling were asked to write weekly letters of gratitude to another person for 3 weeks. It seems you don’t even need to send the notes--only a minority of letter writers actually sent the letters, but still reported better health outcomes over time as compared to those receiving counseling who didn’t write letters. Gratitude may also be the gift that keeps on giving. When the Berkeley researchers looked at the brain activity of the students using an fMRI scanner, the results they saw led them to surmise that you can make your brain more sensitive to gratitude over time, which could make you happier in the long run. If writing isn’t your thing, you can also take a few minutes to meditate and/or visualize the things you are grateful for. If you work in Primary’s coworking space or offices, take a few minutes each day in the nap room or attend a meditation class to build a gratitude practice into your schedule. Expressing thanks can also help your team’s performance at the office. University of Pennsylvania researchers found that participants who received a pep talk that included a thank you for their work were 50% more productive than ones who did not get a pep talk. If you are getting frustrated with the pace of a long term work project, focusing on gratitude can also make you more patient, other research indicates. After all, as Eckhart Tolle has said, "Acknowledging the good that you already have in your life is the foundation for all abundance." , on average, Americans spend close to 100,000 hours on work-related activities. Yeah, you’ll be needing snacks. As Scientific American put it, “Mental health may depend on creatures in the gut.” Early research indicates that probiotics may lessen symptoms of depression by increasing serotonin and/or decreasing the amount of proteins that indicate inflammation. Sources: If you’re at Primary, you can score your probiotics by trying a kombucha (Primary serves Revive), a grapeshot juice from Pure Green, or Maple Hill yogurt. Kefir is also great, but if dairy isn’t your thing, other fermented foods, such as certain kimchi and sauerkraut, can also be good options! The curcumin in turmeric is an antioxidant powerhouse that may protect your brain from cell damage. In ayurvedic tradition, it is used for multiple ailments, including fatigue. Sources: Like probiotics, turmeric is available as a dietary supplement, but you can also buy this super spice on the shelf of your local supermarket and use it as a savory seasoning atop snacks like popcorn or grab a turmeric latte. Omega-3s have been shown to lessen cognitive decline in the elderly. Research has also indicated that they may help with depression. Other studies have suggested that they can also combat inflammation. Sources: Fish can be a great source for omega-3s, but for snacks, good bets are adding chia or flax seeds to a yogurt or, at Primary, a snack with olive oil, like a Crack of Dawn bar from Early Bird, a Brooklyn-based company. Josiah Bouricius, Primary’s feng shui consultant, has paid special attention to Primary’s location and layout to help set coworking and office members up for energetic success. One way is by looking at the space’s stars. We’re not talking about stars in the traditional terms in this case, but stars as energies that collect in different areas at different times. They can be positive or negative. When they’re positive, you can use colors, objects, or other elements as “activations”. Negative stars get “cures” to counteract them. For example, the purple amethyst crystal you’ll see on top of the front desk when you enter Primary is positioned to cure the 20-year conflict star there. Entrances are particularly meaningful—as the “mouth of Qi”, where energy enters a space, they set the tone for a whole space, so if you have your own office, pay special attention to them. Entryways also connect your space with the larger world. Primary has a fame star, with fire energy, in the entrance area. The chairs there are orange, which is evocative of fire, to help activate the star. If you have a fame star at the entrance to your space, you can also place a plant in the area, as their wood qi enhances the star’s fire energy. Depending on your preferences, you can use a variety of objects as cures and activations—everything from a laughing buddha to a picture of Oprah placed strategically can impact the energy of a space. When it comes to energy coming from the earth, Josiah uses small copper rods as cures negative energy like geopathic stress, which is radiation from the earth resulting most frequently from fault lines or underground water. Primary co-founders Lisa Skye Hain and Brian Hain were recently on an episode of the New York Launch Pod, a podcast showcasing conversations with NYC area entrepreneurs and the stories behind their businesses. In Lisa and Brian’s episode, you’ll learn how Lisa came up with the idea to launch Primary, where they originally thought they might start Primary, possible future locations, and the challenges and opportunities they faced along the way to opening up at 26 Broadway--including faulty door handles, great partnerships, and kombucha. Do you feel more chipper after a few minutes on Facebook? More inspired after scrolling Instagram? Pepped up by Twitter? Have you ever actually paused to see how you feel after spending some time on social media channels? Maybe, maybe not. It’s worth spending a moment to check in with yourself to see how you feel the next time you log off. There’s a lot of noise these days about how social media and screen time affects our wellbeing. Some point to reasons to be concerned about social media use, but the effect of it on wellness is unclear. Researchers in Austria found that while people tend to expect that Facebook will boost their mood, the more time they spend on it, they worse they feel. They chalked it up to users’ feeling as if they had wasted time. Another study indicated that Facebook can trigger envy that causes depressive feelings. You can have a healthy approach to social media though: the same research team found that if you don’t experience Facebook-induced envy, the social media site can actually improve your mood. The types of social media you use and how you use them also matter. Pew research found that women who use Twitter in particular multiple times, exchange 25 emails, and send two photos on their cell phones each day are 21% less stressed than women who don’t use Twitter, email, or share photos. They also found that people who are on social are more aware of the events going on in their connections’ lives, but when the events are distressing, that can make users more stressed. You can detox your social media feeds by unfollowing or unfriending people who don’t lift you up, but if you find yourself scrolling away mindlessly on Instagram or walking away from Facebook thinking about all of the life milestones you haven’t achieved, a full-on social media break might be in order. If the thought of being out of touch with your friends and followers for a noticeable amount of time makes you uneasy or you’re afraid of appearing unresponsive, give them a heads up. That doesn’t mean you have to mass message everyone--just change your profile photo or add a post with an image that functions like the social media equivalent of an “out of office” email. Try the one at the top of the post to get started. Enjoy! The plants you see in the hallways, co-working space, and cafe at Primary aren’t just there for aesthetics. They are actually at work too--removing toxins from the air so we can all breathe easier. Green plants can also help you work better. Research done in the UK and Netherlands indicates that having plants in offices can improve workers’ focus, happiness at work, and how productive they feel. They may also help you reduce stress, as exposure to natural elements can reduce stress, a study published in the International Journal of Environmental Research and Public Health revealed. In terms of health, plants have also been shown to reduce the number of sick days taken. If you’re looking for a low-maintenance plant, the Pothos (Epipremnum aureum) is one of the easiest plants to care for and will still clear out toxins like benzene, a known carcinogen found in car exhaust. We have Pothos plants throughout Primary, so no matter if you sit in an office or the coworking space, you’ll receive the benefits of its air-clearing power. Researchers have also singled out ferns for their air-detoxifying prowess. Try the Staghorn Fern (Platycerium) like the ones in Primary’s cafe area--you can mount them and put them on the wall if you’re short on floor or desk space. For a pop of color and to clear trichloroethylene, another known carcinogen, from the air, try Gerber Daisies (Gerbera jamesonii). 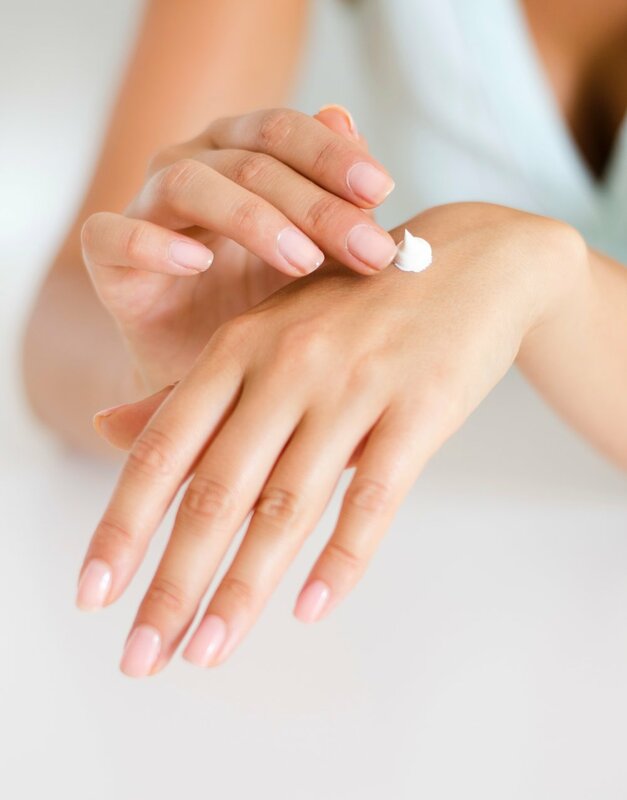 Trichloroethylene can be found in adhesives and spot removers, among other things. If getting more plants isn’t in the cards, you can also put up photos of nature scenes, like the shore scene in Primary’s studio and the coastal and mountain photos in the co-working areas. Even this indirect exposure to nature can positively impact your mood, according to research out of Korea. You’re ready to work--you have enough light, some classical music playing in the background, your coffee by your side, and the thermostat is adjusted just so. You might be less likely to think about the smell when setting up your work environment. But, just like a jolt of caffeine, you can strategically use scents to improve your work and mood. At Primary, you’ll be welcomed by the scent of lemongrass at the front desk and in the restrooms--a scent that has been shown to reduce tension. Smelling lemongrass may also help ease your anxiety more quickly, according to researchers in Brazil. Stressed? Try sniffing lemon--the linalool in lemons may calm you down, as can basil, juniper, or lavender. Crunching a bunch of numbers? Try diffusing rosemary in your office--it could help you complete math problems more quickly and accurately, according to UK researchers. Since there’s a strong link between your memories and smell, your personal experiences also help determine which scents will be beneficial to you. Your personal preferences also play a role. Generally, if you think of an aroma as pleasant, you’ll feel more social and be more productive and patient in the face of frustration. In Scientific American, Rachel S. Herz, an assistant professor of psychology at Brown University, points to research in which subjects who were exposed to a pleasant smelling air freshener set higher goals and were more likely to choose strategies that helped them work more productively. If your work has you on the goo, in a coworking space, or you don’t necessarily want your neighbors to pick up the scent, try using a rollerball to daub the insides of your wrists every time you need a boost. Prefer sprays? We are fans of Manaòs Beauty’s Divina Floresta Aura Mists, with scents of white sage and white cedar and other essential oils. They’re organic, vegan, and inspired by the Amazonian rainforests. Plus, the company has a positive social mission and honors the earth--what better way to celebrate Earth Month?